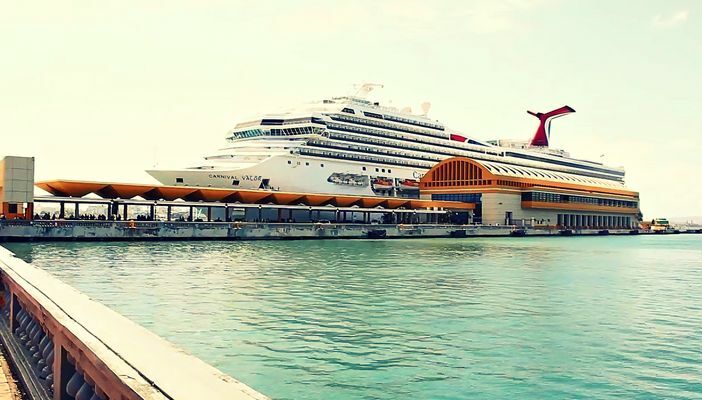 A preferred departure point for travelers leaving for the Caribbean, the San Juan Cruise ship port plays host to San Juan departures that feature round trip cruises to the Southern Caribbean. Cruise guests leaving from the port typically opt for 7 night Southern Caribbean cruises, especially if the trip involves honeymoon travel or a family getaway. The port facility is home to approximately 500 cruise ships that operate through 18 different cruise lines each year. This amount of cruise traffic makes the San Juan cruise ship port the busiest and biggest port of its kind in the Caribbean. The site features two modern terminals and four piers for ships, each of which sits on the southern shores of Old San Juan. The site has the capacity to accommodate a total of seven vessels at one time. Strategic pier locations make it easy for tourists to access and explore Old San Juan and its varied attractions. The Pan American Pier is located close by and can also hold two additional cruise ships. With a total capacity to accommodate almost 10 cruise vessels, San Juan is indeed one popular departure point for anyone planning a Caribbean adventure. Many of the cruise-goers spend several days in the city, enjoying the San Juan attractions before they continue on their Caribbean holiday.